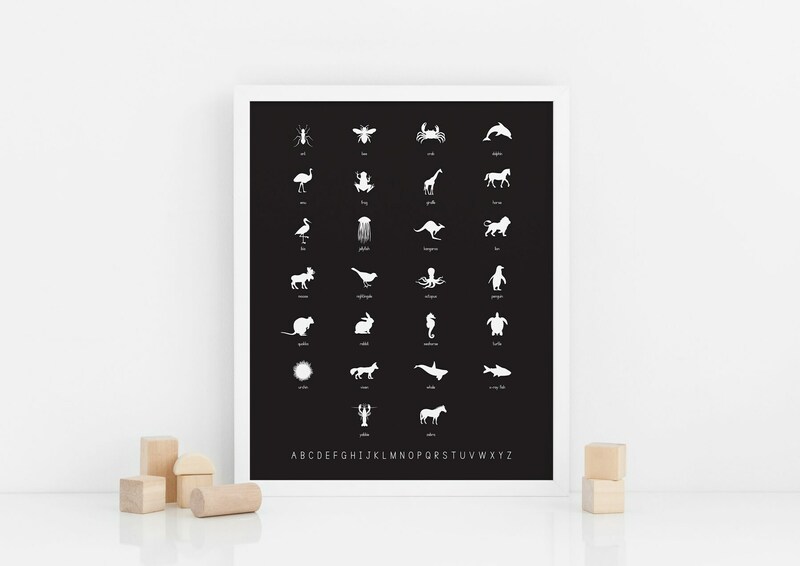 This timeless poster features stunning animal silhouettes representing every letter of the alphabet. 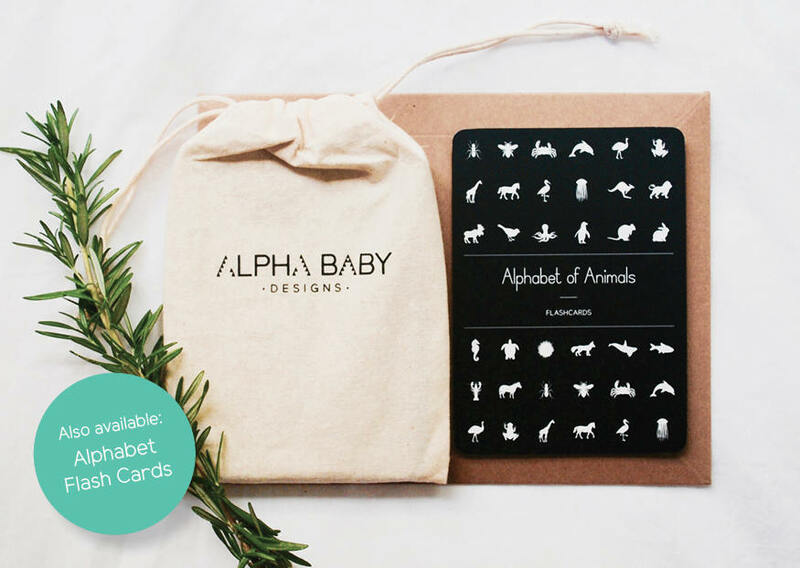 Each animal has it's name written underneath it for easy identification and the complete alphabet is featured along the bottom of the poster. Dramatic and bold, the monochrome/white on black colour scheme works well in both boys and girls rooms and can be effortlessly paired with an array of other colour combinations to create your own unique look. 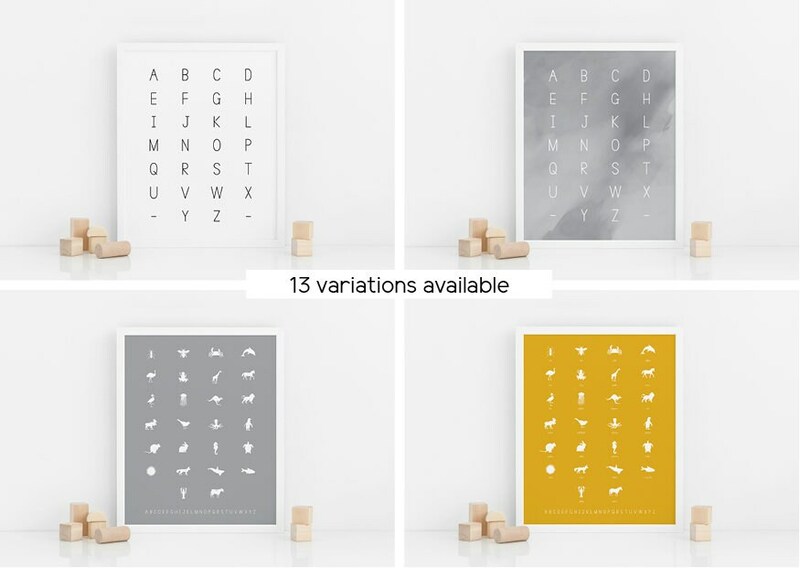 By design, these posters will truly stand the test of time as your baby’s room evolves from nursery, to toddlers’ room, to tweens’ retreat, and be a constant in your child’s room from year to year to year! Hallelujah! Also available in mustard, white and soft grey. Each JPEG is saved in high resolution (300dpi) for crystal clear and sharp printing. Once you checkout and your payment clears, there will be link for your instant download. You can print your art at home, take the file to your local print shop or photo lab, or upload your artwork file to an online printing service. This listing is for a digital download item, no physical item will be shipped to you. If there is a problem with the file we will happily resolve this with you at no extra charge. Due to the digital nature of our products, we cannot provide a refund or cancellation. Please send a message if you need a custom size. We will customise your print to the size you need, at no extra cost. This artwork is for personal use only. Re-distributing or sharing this product or design (even for free) is strictly prohibited. 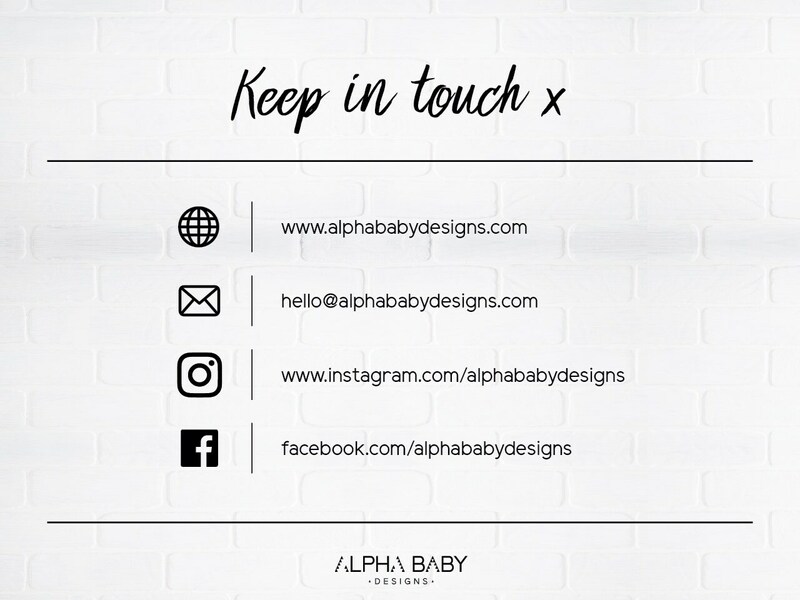 © Artwork is copyright of Alpha Baby Designs. – Service providers. I engage certain trusted third parties to perform functions and provide services to my shop, such as delivery companies. I will share your personal information with these third parties, but only to the extent necessary to perform these services. – Business transfers. If I sell or merge my business, I may disclose your information as part of that transaction, only to the extent permitted by law. – Compliance with laws. I may collect, use, retain, and share your information if I have a good faith belief that it is reasonably necessary to: (a) respond to legal process or to government requests; (b) enforce my agreements, terms and policies; (c) prevent, investigate, and address fraud and other illegal activity, security, or technical issues; or (d) protect the rights, property, and safety of my customers, or others. If you sign up to my newsletter I may store and process your information through third-party hosting services, such as MailChimp and Gmail, in the US and other jurisdictions. As a result, I may transfer your personal information to a jurisdiction with different data protection and government surveillance laws than your jurisdiction. If I am deemed to transfer information about you outside of the EU, I rely on Privacy Shield as the legal basis for the transfer, as MailChimp and Google are Privacy Shield certified. – Access. You may have the right to access and receive a copy of the personal information I hold about you by contacting me using the contact information below. – Change, restrict, delete. You may also have rights to change, restrict my use of, or delete your personal information. Absent exceptional circumstances (like where I am required to store data for legal reasons) I will generally delete your personal information upon request. – Object. You can object to (i) my processing of some of your information based on my legitimate interests and (ii) receiving marketing messages from me after providing your express consent to receive them. In such cases, I will delete your personal information unless I have compelling and legitimate grounds to continue using that information or if it is needed for legal reasons. – Complain. If you reside in the EU and wish to raise a concern about my use of your information (and without prejudice to any other rights you may have), you have the right to do so with your local data protection authority. For purposes of EU data protection law, I, Alanna Jang, am the data controller of your personal information. If you have any questions or concerns, you may contact me by clicking the 'contact' link.